Based on Chart, Market is expected to open higher. AA earning result was fair but the expectation bar for all the earning is very low and it should be easy beat. But major question remains whether stock will rally or sell off. I would suggest stay away from earning. Its extremely risky and extremely unknown which way algos will move the stock. There is no major economic data from US. Only data that is out is Petroleum status at 10.30 am EST which will bullish move for ERX if inventory is low and bullish for ERY if inventory is high. 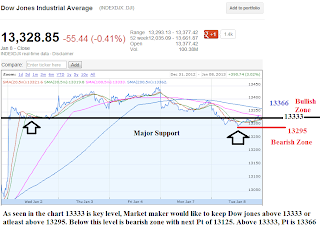 Market will focus on the hopium that ECB will do rate cut on Thursday. This market is very tricky to play because after early move stocks have been flat making difficult to trade. 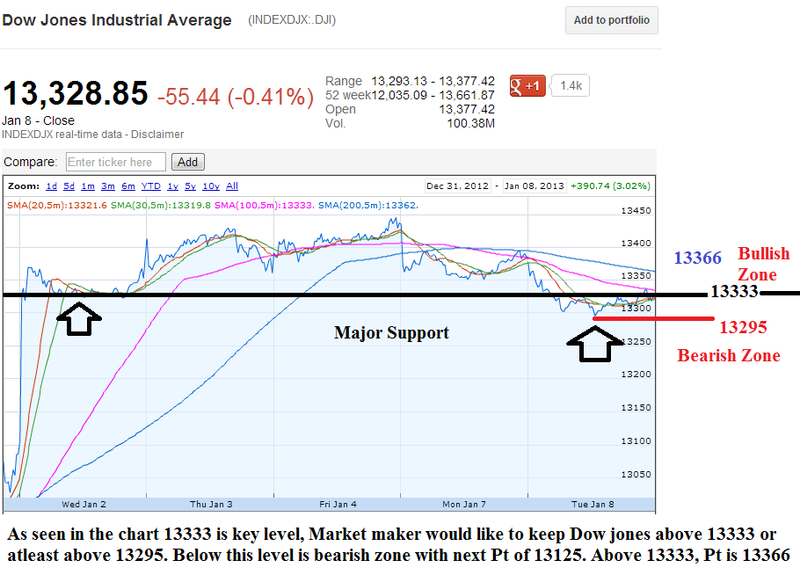 Dow jones expected to open higher.